Lung Cancer begins when abnormal cells grow and multiply in an uncontrolled way in one or both of the lungs. Cancer that starts in the lungs is known as primary lung cancer. It can spread to other parts of the body such as the lymph nodes, brain, adrenal glands, liver and bones. When cancer starts in another part of the body and spreads to the lungs, it is called secondary or metastatic cancer in the lung. Non-small cell lung cancer (NSCLC) – Makes up over 85% of lung cancers. It may be classified as squamous cells carcinoma, adenocarcinoma or large cell undifferentiated carcinoma. Small cell lung cancer (SCLC) – Makes up about 15% of lung cancers. It tends to start in the middle of the lungs and usually spreads more quickly than NSCLC. Other types of cancer can also affect the lung area but are not considered lung cancer. These include tumours that start in the space between the lungs (mediastinum) or in the chest wall. 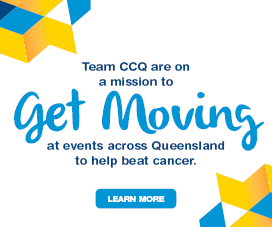 About 2300 people (58% males, 42% females) are diagnosed with lung cancer in Queensland each year. 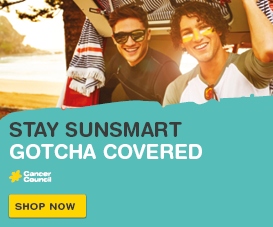 It is the fifth most common cancer in Australia and the average age of diagnosis is 71. More men than women develop lung cancer and the risk of being diagnosed before the age of 82 is 1 in 13 for men, and 1 in 21 for women. The causes of lung cancer are not fully understood, and some people develop lung cancer without having any knows risk factors. The factors listed below are known to increase the risk of developing the disease. Having these risk factors does not mean you will develop lung cancer, but if you are concerned about your risk, talk to your doctor. Tobacco smoking – In Australia, about 90% of lung cancer cases in males and 65% in females are estimated to be a result of tobacco smoking. The earlier the person starts smoking, the longer they smoke and the more cigarettes they smoke, the higher the risk of developing lung cancer. However, about one-fifth (21%) of people who are diagnosed with lung cancer have never been smokers. Second-hand smoking – Breathing in other people’s tobacco smoke (passive or second-hand smoke) can cause lung cancer. Living with a smoker increases a nonsmokers risk by 20-30%. Exposure to asbestos – People who are exposed to asbestos are more likely to develop lung cancer or pleural mesothelioma. Although the use of asbestos in building materials has been banned across Australia since 2004, there is still asbestos in some older buildings and fences. Exposure to other elements – People exposed to radioactive gases (radon) in the workplace, such as uranium miners, have an increased risk of lung cancer. Contact with the processing of arsenic, cadmium, steel and nickel may also be a risk factor. Personal history – Having another lung disease (e.g. lung fibrosis, chronic bronchitis, pulmonary tuberculosis, emphysema) or HIV infection may increase the risk of lung tumours. Older age – Lung cancer is most commonly diagnosed over the age of 60 years, though it can occur in younger people. A person diagnosed with lung cancer may also have experienced symptoms such as fatigue, weight loss, hoarse voice, wheezing, difficulty swallowing, abdominal or joint pain, and enlarged fingertips (finger clubbing). Having any one of these symptoms does not necessarily mean that you have lung cancer. Some of these symptoms may be caused by other conditions or from side effects of smoking. However, if you have symptoms, see your doctor without delay. Lung cancer symptoms can be vague and the disease is often discovered when it has spread to other parts of the body. Sometimes there are no symptoms and the cancer is found during routine tests (often x-ray or CT scan) for other conditions. Your doctors will perform a number of tests to make a diagnosis, and work out whether the cancer has spread beyond the lung. The test results will help them recommend a treatment plan for you. sputum cytology – lab tests on a sample of mucus from the lungs. pleural tap – lab tests on a sample of fluid drained from the lungs. molecular tests – lab tests on the biopsy sample to identify particular genetic mutations in the cancer. PET scan to check for cancer in other parts of the body. Some tests may be repeated during or after treatment to check how well the treatment is working. Waiting for the test results can be a stressful time. 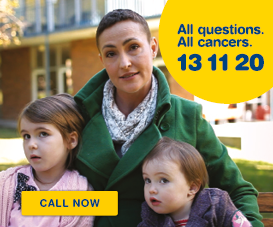 It may help to talk to a friend or family member, a healthcare professional, or call Cancer Council 13 11 20. Treatment for lung cancer will depend on the type of lung cancer you have, the stage of the cancer, how well you can breathe (your lung function) and your general health. Non-small cell lung cancer (NSCLC) and small cell lung cancer (SCLC) are treated in different ways. NSCLC in an early stage (I or II) is usually treated with surgery, if possible, to remove the cancer and the nearby lymph nodes. If surgery is not an option, radiation therapy is offered. Sometimes chemotherapy may be given after surgery or with radiation therapy. Locally advanced (Stage III) NSCLC can be treated with surgery and chemotherapy or with radiation therapy and chemotherapy. Treatment will depend on the number and location of the lymph nodes with cancer. For advanced NSCLC (Stage IV) palliative chemotherapy and/or palliative radiation therapy may be offered depending on the symptoms. New targeted therapy and immunotherapy drugs may also be an option. Early or locally advanced SCLC (Stages I-III) is usually treated with chemotherapy and radiation therapy. Surgery is not used. Advanced SCLC (Stage IV) is mainly treated with palliative chemotherapy. Palliative radiation therapy may also be given to the brain, spine, bone or other parts of the body where the cancer has spread. The specialist will tell you the stage of the cancer, which describes how much cancer there is and whether it has spread. Prognosis means the expected outcome of a disease. You may wish to discuss your prognosis and treatment options with your doctor, but it is not possible for anyone to predict the exact course of the disease. Instead your doctor can give you an idea about the general outlook for people with the same type and stage of cancer. Whether you have been diagnosed with a lung cancer, or have a family member or friend who is affected by cancer, there are times when you may need support. Our professional services and support programs are here to help you. For more information on lung cancer please refer to the Understanding Lung Cancer booklet. You can download the PDF or order a hard copy. You can also refer to the Lung Cancer What to Expect guide to help you make sense of what should happen, and to help you with what questions to ask your health professionals to make sure you receive the best care at every step.